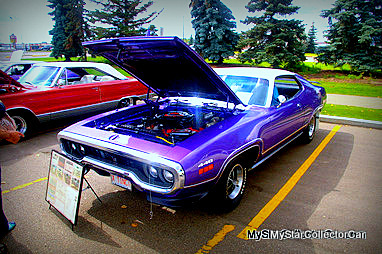 Cars like this 1971 GTX get serious attention at car shows-even from non-Mopar guys. 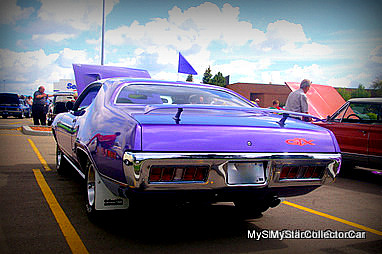 Things like bright purple paint; rear wings and a big 440 on the hood draw car guys like moths to a light. Clarence Alexander never thought much about that collector car phenomenon back in the early 70s. 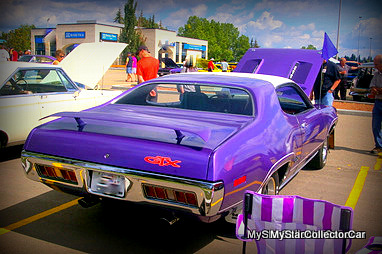 He bought the GTX when it was a year old-the streets were full of yellow, lime green, orange and purple Mopars. Instead his attraction to the car was mundane-he simply liked the car. Clarence made one mistake when he bought the GTX-he didn’t notice that it had power steering. Consequently his wife drove it daily and he was relegated to the 2nd car-a non power steering equipped 1966 Dodge Coronet. Not a man to worry about matrimonial harmony, Clarence was very candid about his wife’s parking lot driving prowess. He attributed a rash of parking lot dings and dents “she had a styling and parking problem with the body because it was so round”. 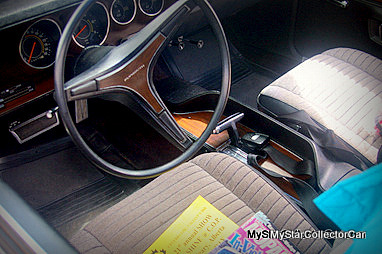 This was not a show car in the 1970s-this was a fully functional, practical family car. 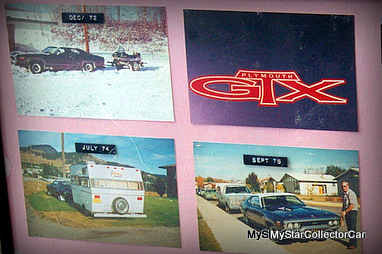 The GTX hauled everything from snowmobiles in winter to holiday trailers in the summer. This was not a trailer queen-Clarence even made a few garbage trailer runs in the car. 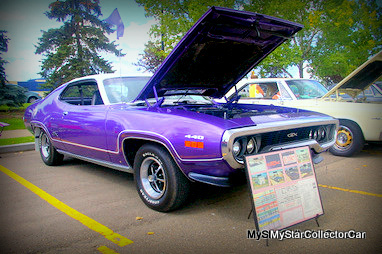 The GTX survived the 1970s Arab embargo oil scare at a time when these muscle cars were so unwanted that dealers wouldn’t take them in on trade. 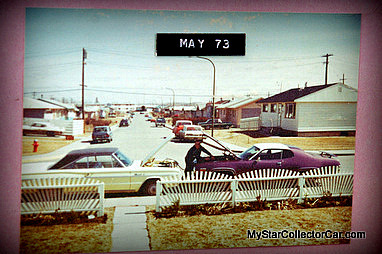 That wasn’t a problem for Clarence because he knew that the big purple Plymouth would be a big part of his life for many years. 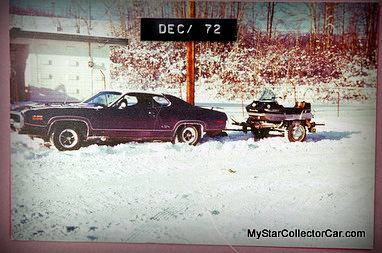 The 21st Century might have been a stretch but one fact remains-Clarence still owns his beloved car. 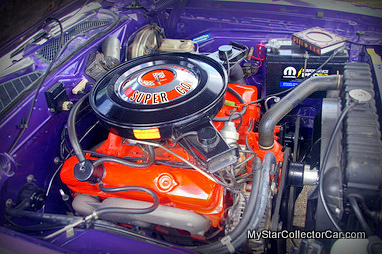 Clarence has kept the car in immaculate condition over the years. He’ll only admit to “two paint jobs and a few batteries” over nearly 40 years of ownership. He may understate just how nice this rare GTX is but it really has weathered the years remarkably well. Like most older car guys, Clarence doesn’t like to talk about his driving feats. He admitted, after a fair amount of pressure, that he did come up against a little competition back in the 70s. He was on a 4-lane highway back then when a 442 “wanted to run me at 70. I told my wife to hook up her seatbelt and took him up to 135. Still there-so I took him up to 150 and then past that to 10. He was gone but my foot shook all the way home”. Clarence still shakes his head at that spontaneously frightening piece of driving, but it clarifies just how fast these Mopars were in their prime…how dispensable muscle cars were back then…and how much less traffic there was in the early 70s. Clarence and the GTX lead a much more sedate life these days-no snowmobile trailers, no holiday trailers, no winter driving and no 150+ mph runs. As he says, “it’s got an antique plate, I’m very comfortable driving it, it’s lots of fun, nice to drive and I take it to shows all over”. Car stories are interesting in their own right but when a guy goes back decades with a rare Mopar muscle car the stakes go up exponentially. This was one of those stories. Re-post this article if you like it…thanks.